Over recent years Urban Outfitters has got better and better with its homeware. Starting with smaller accessories, UO know has a full range of interior delights including lighting, soft furnishings and furniture. We love it’s quirky designs and colourful accessories, allowing us to bring fun into our homes. If you are looking for quirky homeware then be sure to head to Urban Outfitters, especially when they have a sale on. 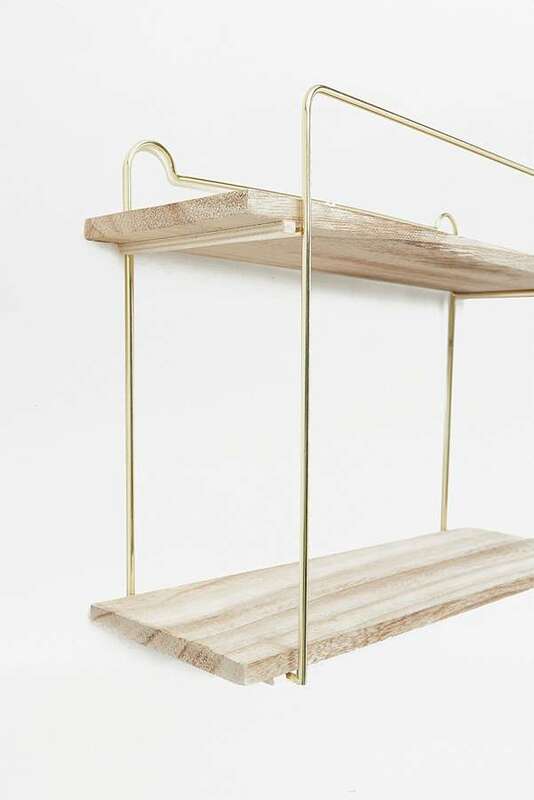 Amongst a good selection of reduced furniture, accessories and rugs we found this cool little shelving unit for £17.50. This 2 shelf unit is perfect for any room, display books, pictures, plants and more. Pick between yellow frame or gold.